Ponggol or Punggol is literally the same word with different spelling but most of us are more familiar with the latter. 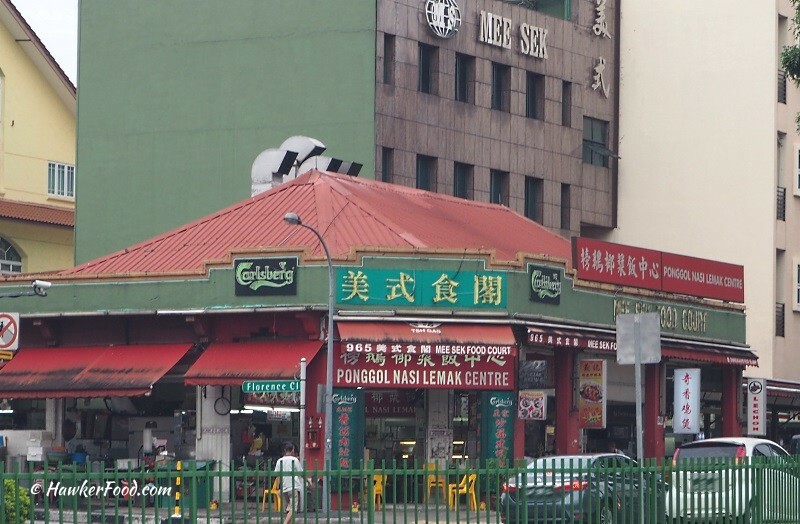 Thus, when I first saw the name Ponggol Nasi Lemak, I was kind of intrigued. What was even more intriguing to me initially was the long queue for its nasi lemak during peak dinner hours. To avoid the crowd, I was there right at their opening time of 5.30pm and a queue has already formed. Most were ordering takeaways with a handful of them dining in. Before I joined the queue, I went to browse the dishes and saw a wide variety of them like ikan bilis, ikan kuning, fried chicken wing, luncheon meat, fish fillet, otah, an assortment of vegetables, etc. The queue was moving pretty fast and probably because none in front of me made a bulk order which was kind of a relief to me. 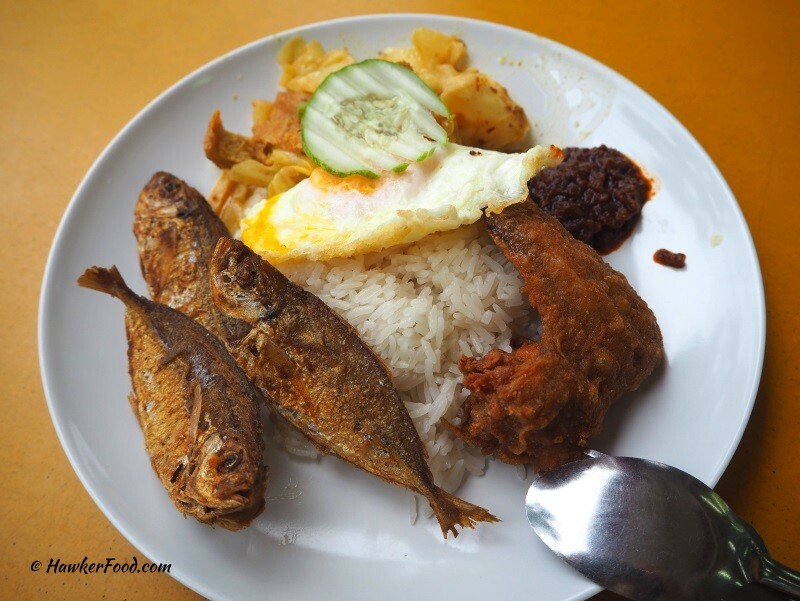 I ordered curry vegetables, egg, fried chicken wing and three pieces of ikan kuning (Yellow-banded Scad). As always, the senile uncle in me forgot to take note of the price but I remember it was not cheap at all. The coconut rice was rich and fragrant, mixing it with the chilli only made it more delectable. The fried chicken wing was nicely battered and it was crispy and chewy to the bite. I also liked the curry vegetables which had a nice spicy gravy soaking the soft but crunchy cabbage slices. 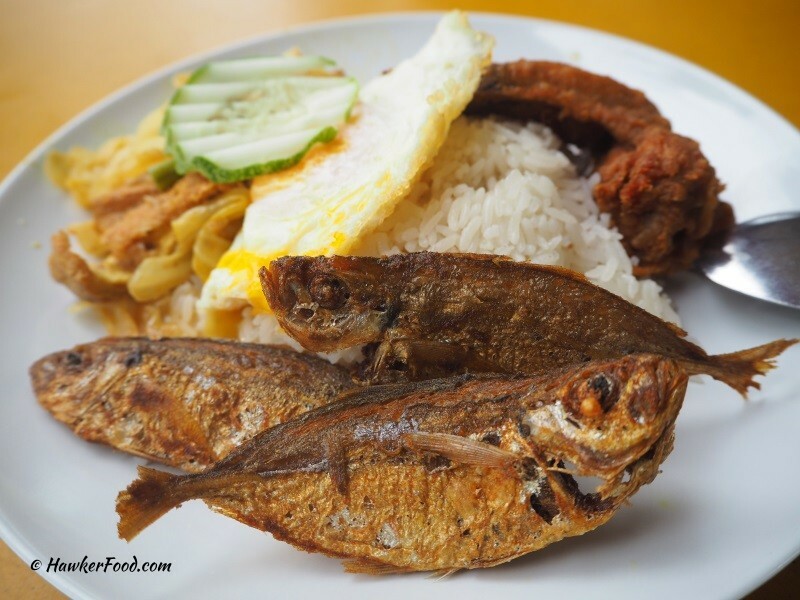 The winner had to be the ikan kuning! The fishes were well marinated with an assortment of spices and fried beautifully giving it a nice crisp and sumptuous taste. I think I can just buy a bunch of them to solely eat as a snack. 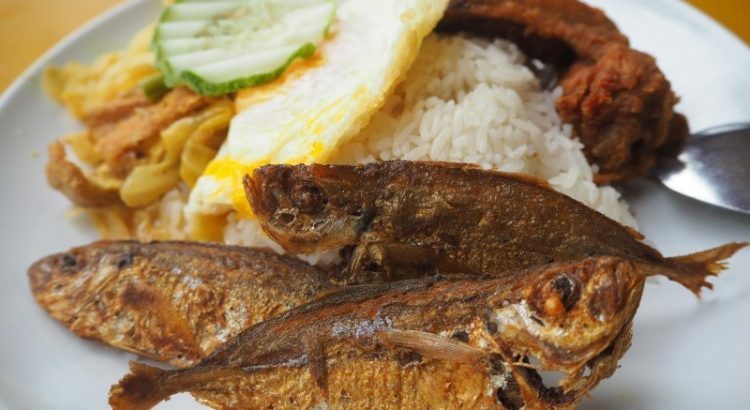 Tasty Nasi Lemak with a wide variety of dishes for your selection. Do try to go early or go after the peak dinner hours to avoid the long queue.